Route: Malaga / Granada / Cordoba / Sevilla / Ronda / Alpujarras / Marbella / Malaga / Tanger / Rabat / Casablanca / Marrakech / Fez / Meknes / Ceuta / Malaga. Only 14 kilometers separate Europe from Africa, Spain from Morocco. 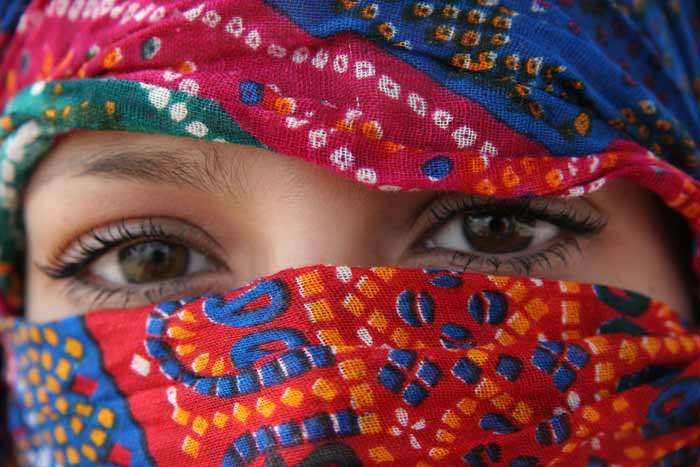 Two lands that once shared one Muslim culture. 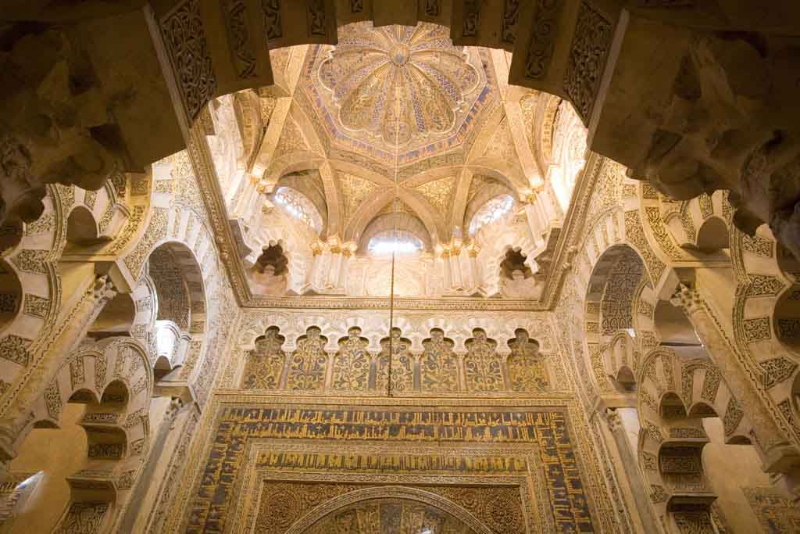 We suggest a tour that will take the traveler from the essence of old Al Andalus, to the beautiful landscaped cities of todays Andalucia – Cordoba, Granada, Sevilla, Malaga… – then onto the fascination of Morocco. 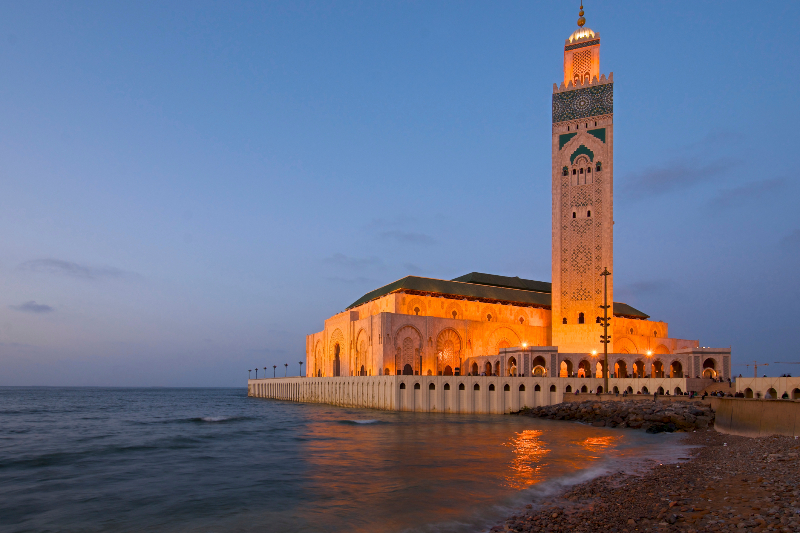 Then here, a tour with only the best of this vibrant North African country, from the medieval medina of Fez, the cultural capital of the country, to the hectic bazaar of Marrakech, then the crucial Rabat and Meknes. A striking mix of old and new which shows itself in the architecture, crafts and daily life of these cities, that is always surprising. Day 1: Málaga – Granada. Welcome and reception in Malaga. 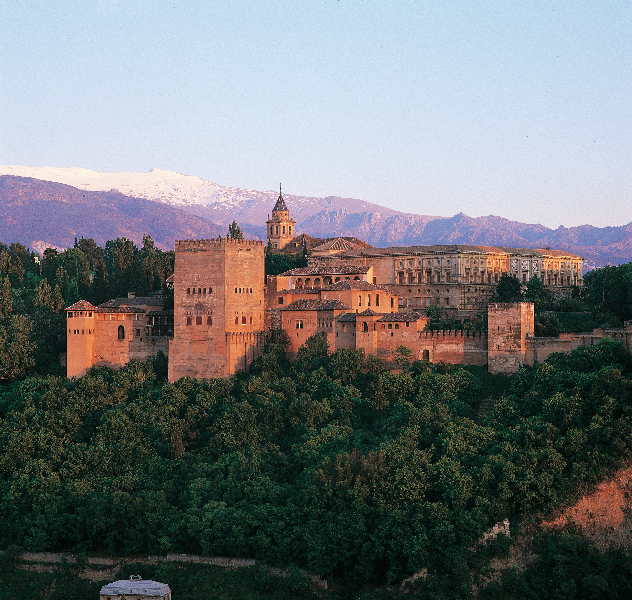 Transfer to Granada, the last Muslim kingdom of Al Andalus. Accommodation in 4 or 5 star hotels. Brief presentation of the Tour. Dinner. 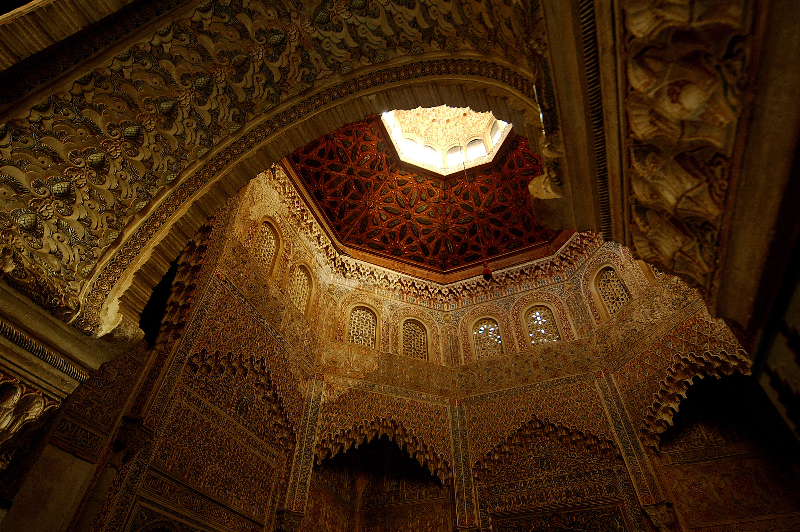 Day 4: Cordoba – Sevilla. Breakfast. 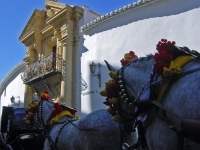 Trip to Seville, the city of orange blossom and the capital of Andalusia. There, a visit to the Alcazar and the symbolic Giralda, former Almohad minaret. Check into a 4 or 5 star hotel. Lunch: Free time or organized by Nur & Duha on request. 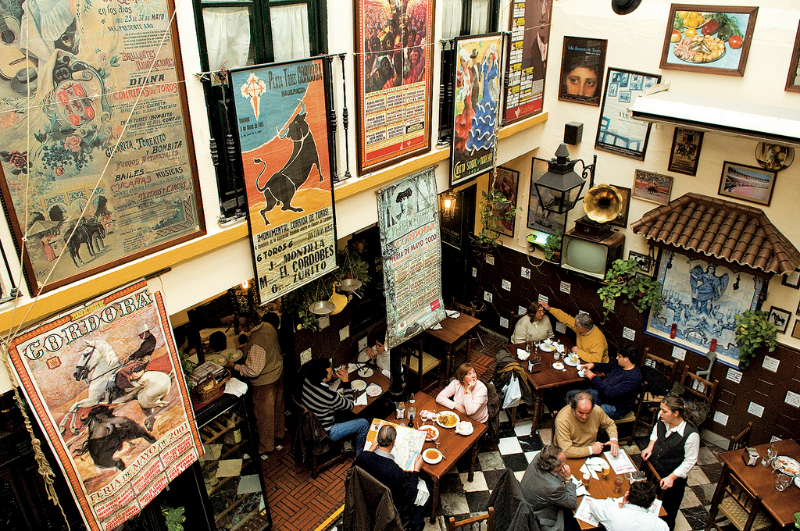 Free time to discover the charm of the historic center, the banks of the Guadalquivir River, the Torre de Oro, the picturesque neighborhood of Triana, the beautiful “Plaza de Espana” … Dinner. Day 5: Sevilla – Ronda – Malaga. Breakfast and free time to take leave of the beautiful Giralda. Trip to Ronda, beautiful fortified town. Lunch: free time or organized by Nur & Duha on request. 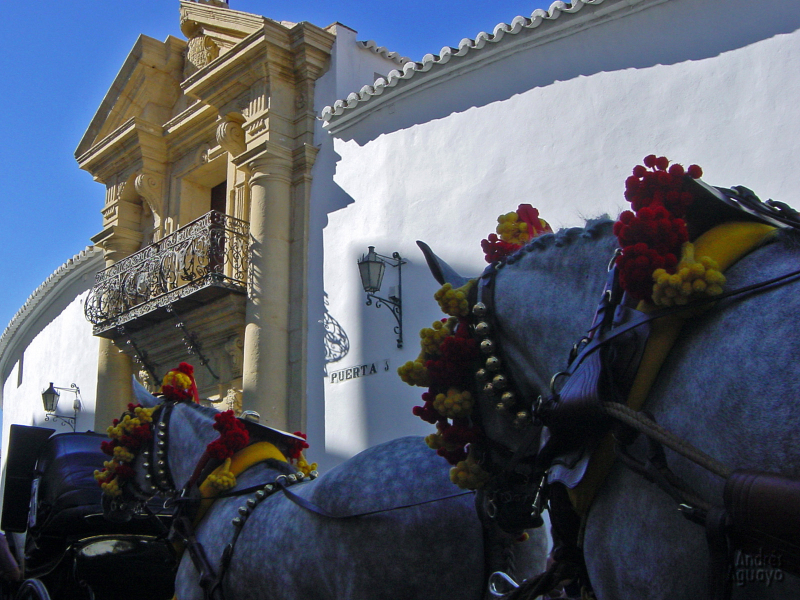 Free time to stroll through the charming streets of Ronda. Continue trip to Malaga. Check into a 4 or 5 star hotel. Free time. Dinner. Day 6: Malaga – Alpujarras – Malaga. Breakfast and departure to the Alpujarras mountains surrounding Granada and Malaga, the last refuge of Muslims of Al Andalus. 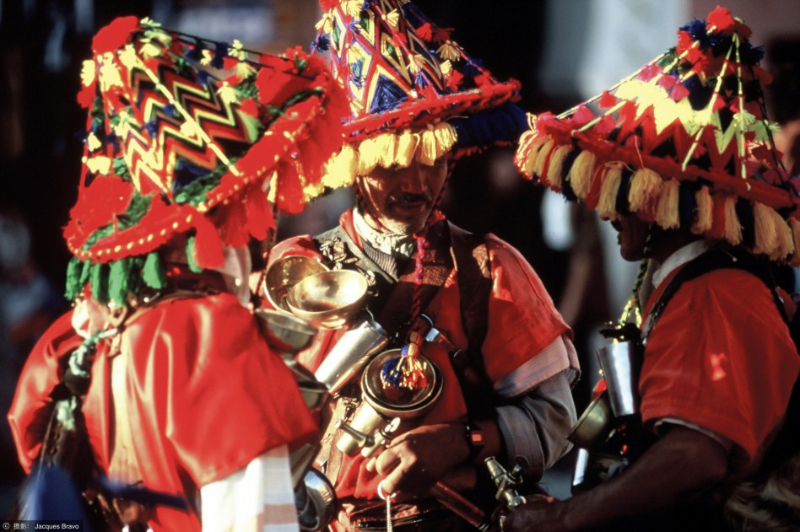 We will spend the day touring its most picturesque villages: Orjiva, Capileira, Bubión … With some free time to stroll through the whitewashed streets and craft shops. Lunch: free time or organized by Nur & Duha on request. 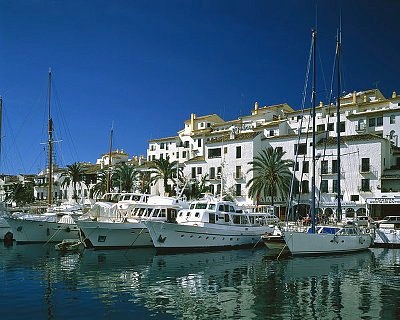 Then we will visit the area – Lanjarón, etc, as we begin the journey back to Malaga. Dinner. Day 7: Malaga – Marbella – Malaga. Breakfast and departure to Marbella, capital of the world famous Costa del Sol. This town of Malaga, charming old fishing village, has now become the place of residence and holiday for celebrities and millionaires and a real paradise for shopping lovers. Free time for anyone who wishes to do shopping of some of the international top brands. Lunch: free time or organized by Nur & Duha on request. Back in Malaga, visit to Mijas, charming inland white village. Dinner in Malaga. 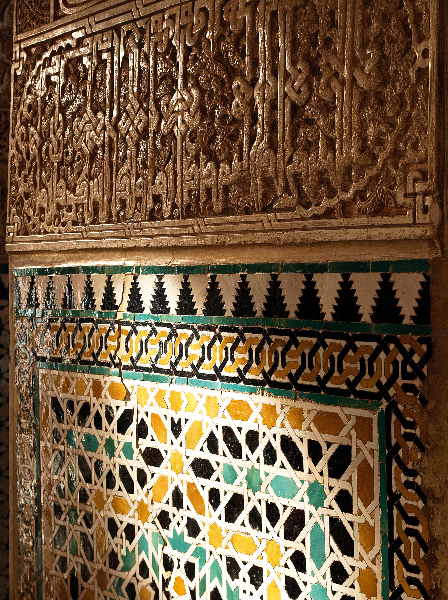 Day 8: Malaga – Tanger – Rabat. Breakfast, then a short trip to Algeciras for the ferry to Tangier. We begin our day with a traditional Moroccan mint tea on a terrace, which has a beautiful view of the city. Lunch: free time or organized by Nur & Duha on request. Guided walk through the Baazar. 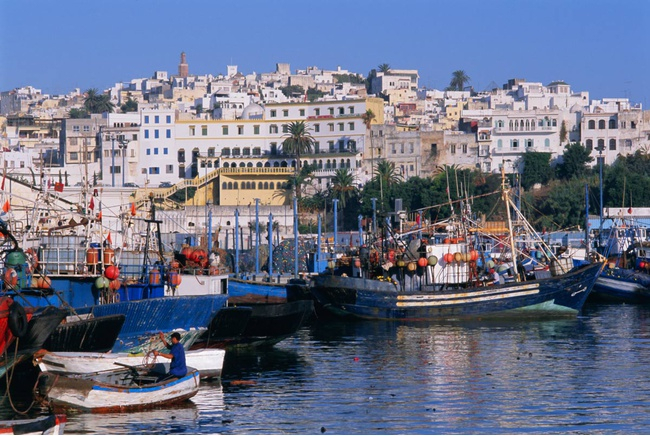 Then we leave for Rabat, the political capital of the country. Check into a 4 or 5 star hotel. Dinner. Day 9: Rabat. Breakfast. Visits to the most distinctive parts of the city (Hassan Tower, the Royal Family mausoleum, the outside of the Royal Palace, the Kasbah Oudaya, Chellah, Bazaar, modern center, etc. Lunch: free time or organized by Nur & Duha on request. Free time. Dinner. 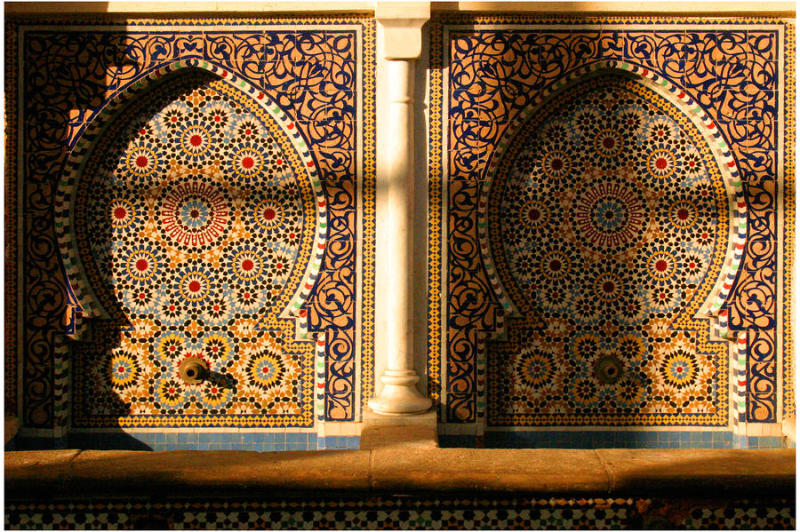 Day 10: Rabat – Casablanca – Marrakech. Breakfast. We begin the first part of the visit to what has become the country’s economic capital: Casablanca. 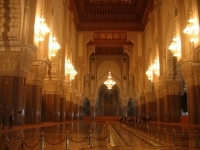 Whilst here, a tour of the Anfa neighborhood, the Plaza of the Arab League, Mohammed V Square and the Boulevard de la Corniche, right down to the courtyard of Hassan II’s mosque. 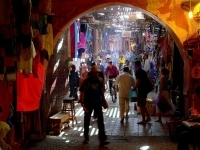 Then, we will continue the journey to Marrakech, the hub of Afro-Morocco. Lunch on route: free time or organized by Nur & Duha on request. Arrival at Marrakech, Check into a 4 or 5 star hotel. Free time. Dinner. 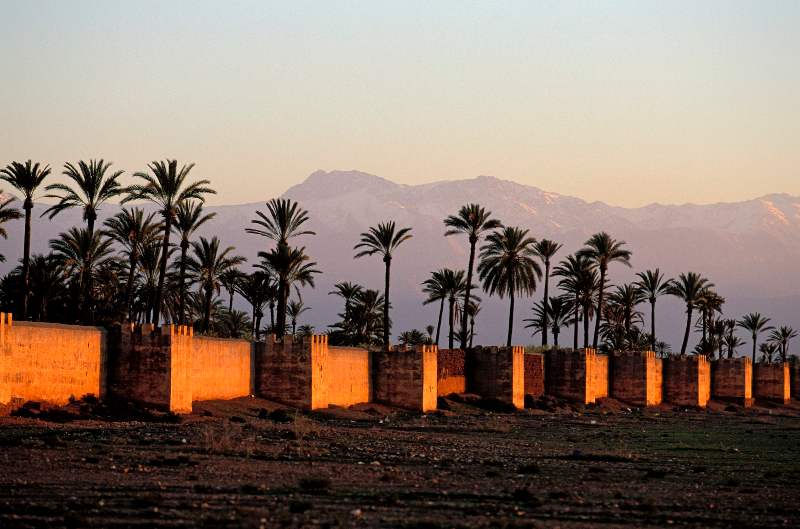 Day 11: Marrakech. Breakfast at the hotel. 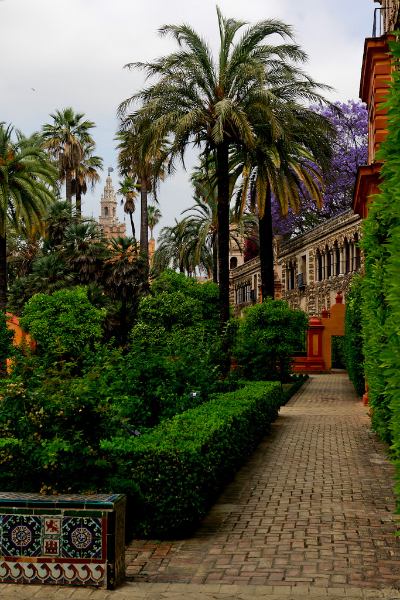 Then a tour of the most important parts of the city, such as the minaret of Kutubiya (sister of the Giralda in Seville), Tombs of Saadinas, the Bay palace (Board of Ambassadors), Manera Gardens, then on foot we head to the famous Plaza de Jama’Lfna declared as World Heritage where there are orange juice vendors, sweets, bazaars, markets, tea rooms etc., mixing and creating a single and unique ambience. Lunch: free time or organized by Nur & Duha on request. Free time. Excursions to the surroundings of the city (optional). Dinner. Day 12: Marrakech – Benimellal – Ifrane – Fez. Breakfast at the hotel in Marrakech. Then we set off for Fez, the cultural gem and spiritual center of Morocco. The journey takes us along part of the Atlas mountains going through Menimellal, Khnifra, Ifrane National Park and Imouzzer to Fez. Lunch: free time or organized by Nur & Duha on request. Arrival at Fez, facility in 4 or 5 star hotel. Free time. Dinner. Day 13: Fez. Breakfast. 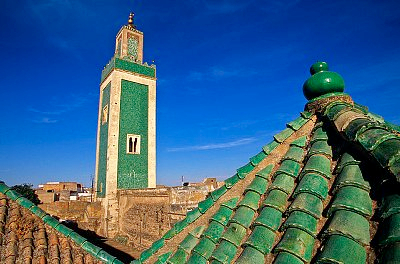 Guided tour of the city, including a panoramic view of this impressive medina from its surrounding hills. Also, the bronze doors of the Royal Palace, the Jamaa Al Qarawiyyin Mosque and University, the tomb of Moulay Idriss II, Bab Boujeloud, Madrasa Dar Al Attarin, and the main souks (bazaars) and Babs (gates) of the walled city. We will also visit the interesting craft workshops, divided into guilds, highlighting the famous district of the tanners, north Borj. Lunch: free time or organized by Nur & Duha on request. Free time. Dinner. 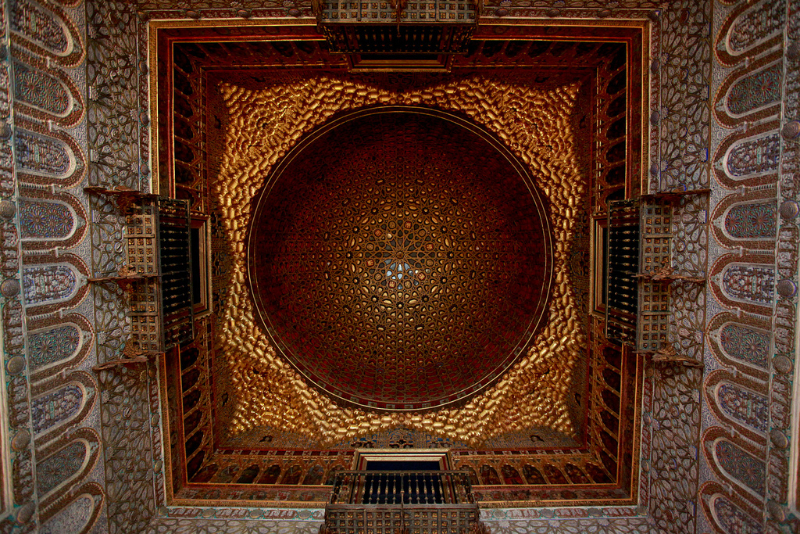 Day 14: Fez – Meknes – Ceuta – Málaga. Breakfast. 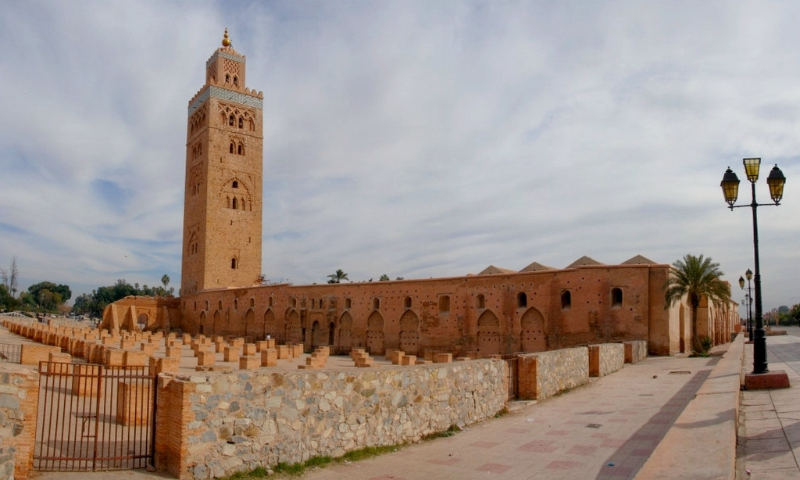 Trip to Meknes. 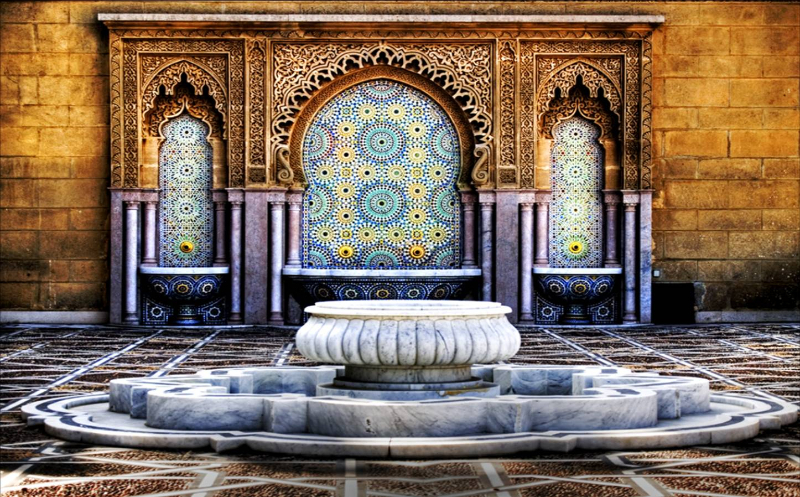 A visit to the mosque and mausoleum of Moulay Ismail, founder of the city. Lunch: free time or organized by Nur & Duha on request. We continue the journey to the seaport of Ceuta, where the ferry leaves for Algeciras. Final Destination: Malaga. Farewell dinner. Day 15: Malaga. Breakfast. Transfer to the airport and end of trip.